Beach Clubs filled with sun loungers, pools, palapa umbrellas and mixed drinks are available for you in the Riviera Maya. Whether you are staying in a vacation rental, a small boutique hotel or just want to experience a different beach, then this is for you! You will have to pay for use of the club including sun loungers or beds and of course food and drinks. However, if you stay at the right hotel that is not located right on the beach then they probably have a deal worked out with the Beachfront Clubs for you to use them for free. Playa del Carmen has 3 main ocean clubs that are well known in the area. Each with its own uniqueness and style. There tend to be more beachfront clubs in the Playa del Carmen area due to that area. The Playa del Carmen area has lots of hotels in a close proximity and many are not oceanfront which brings the solution of a beachfront club. Most of the beachfront clubs are located only a few blocks from your hotel so you don't need to walk far. They are located on fabulous beaches with all the amenities of a 5 star resort. Mamitas Beachfront Club is probably the most well known. It is located in North Playa del Carmen. With a restaurant, lounge and music, it's the perfect fun beach scene! Another club that is more upscale and a bit pricier is Blucacao Beachfront Club. This in an intimate club with restaurant and bar. The food and amenities are more upscale. With two pools to enjoy and upscale beach loungers you won't be disappointed. 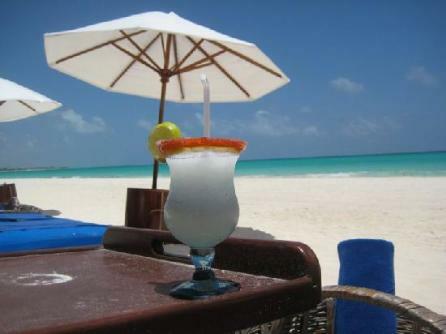 On Tucan Beach in Playa del Carmen is Kool Beach Club with offers lots of gorgeous beach for you to relax on or swim. offers NY strip with mango sauce to sushi, to burgers and fries. The options are limitless! A beachfront club can offer a very fun aspect to your trip to the Riviera Maya Mexico. You will get to know other guests as well as enjoy some relaxing time on the beach with your drink in hand. Depending on if you prefer a fun filled, busy beachfront club or more secluded, the 3 options all offer different aspects to help you make a decision. If you are staying at La Tortuga or Luna Blue Hotel you have free access to Mamitas Club. If you are staying at Luna Blue you also have free access to Blucacao Beachfront Club. After you've enjoyed Riviera Maya and all its great beaches, you might consider Grand Cayman beaches, like Rum Point. Grand Cayman wanderer has them all.